Join a rotating cast of your favorite Marvel super heroes under one roof in this giant ongoing magazine featuring all-ages adventures, with a different character spotlight every month! 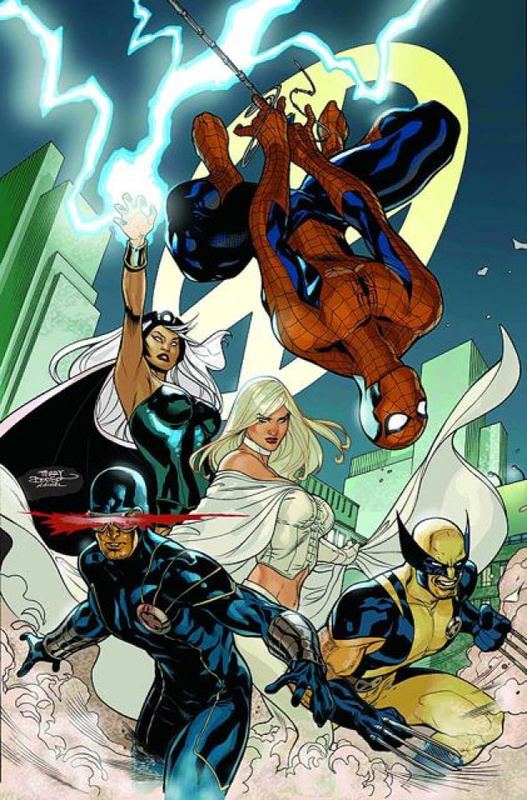 This issue's stars are Spider-Man and the X-Men! Spider-Man is hunted by the Torino crime family and the X-Men!? Why are the mysterious mutants in New York, and why are they going after Spidey? Then, it's more mutant mayhem for Spider-Man when he and Marvel Girl are asked to watch Bruce Banner and make sure he doesn't get too excited - because if he does, he'll turn into the Hulk! Can Spidey and Marvel Girl help him keep his cool even after a strike from the diabolical Dr. Octopus? Plus: the epic conclusion of Spider-Man and the Secret Wars! And Lockjaw and friends discover the identity of the Golden One, but the answer may mean the destruction of the Pet Avengers! Collecting Marvel Adventures Spider-Man #59, Spider-Man Family #9, Spider-Man & the Secret Wars #4, and Lockjaw and the Pet Avengers: Unleashed #4.